Background/Info: Stefan Weisser aka Z’EV belongs to the collective memory of experimental and industrial music. He definitely was one of the real pioneers of industrial music becoming a reference for later industrial generations. This artist got involved in numerous artistic domains, but his fascination and quest to decompose and recompose noises never disappeared. This new work brings Z’EV to ‘play with the intersection of light and dark, catching waves of luminescence between prisms and mirrors that fragments particles into shimmering washes of sound’. Content: This is the kind of conceptual- and simply artistic creation, which reminds me of the early years of industrial music and some artist originally featured on Staalplaat. It’s the kind of work that often mixes imagery and sound. 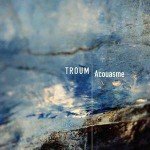 So we have to create our own images while the sound rapidly leads us towards pure cellar noises consisting of icy sonic manipulations and the unavoidable drones and percussion passages remaining the trademark of this artist. The world of Z’EV is filled by monstrous sounds and a turmoil of noises creating a strong visual appeal. It remains an abstract composition, where the art to create new noises has always been more important than a classic music composition. 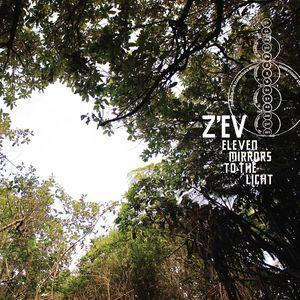 This approach has always been characteristic for Z’EV and some of his partners in crime like Monte Cazazza, Non, Throbbing Gristle and co.
+ + + : “Eleven Mirrors To The Light” makes me think to a sort of sonic vacuum filled with abstract sound treatment revealing the endless creativity of this pioneer. – – – : I regret there are no more explicit percussion sections instead of transformed percussions. Conclusion: Z’EV remains one of those rare sound architects, which hasn’t lost any part of his original approach and revolutionary style. Best songs: “Feny”, “Marama”, “Aina”, Espejo”.